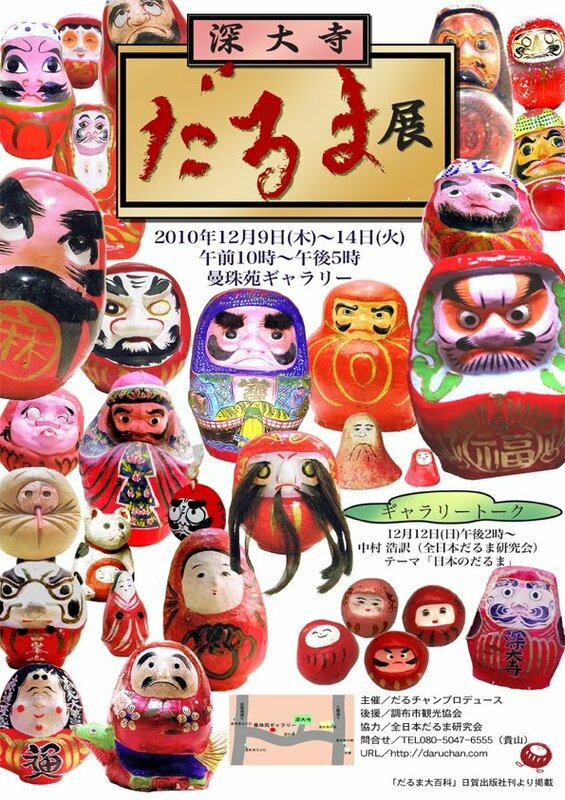 November 3 until Februar 11. 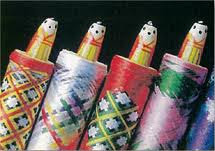 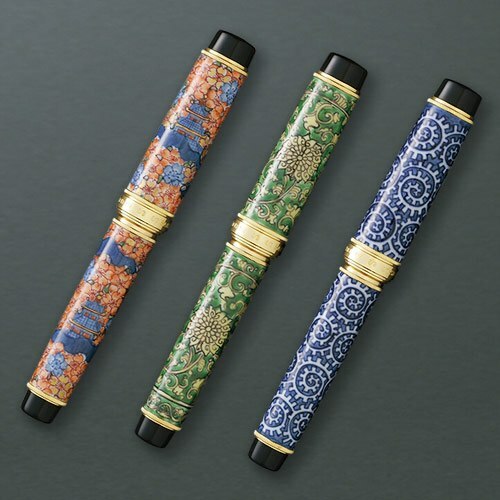 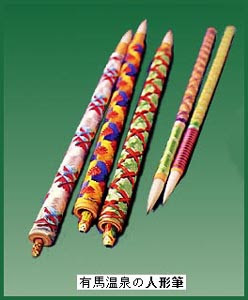 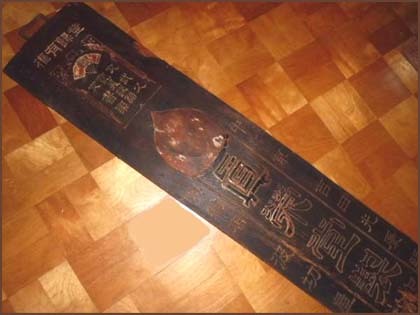 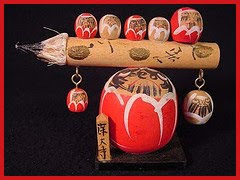 October 20 until November 30, 2007.
for family security, good luck, good business and all other wishes in life. 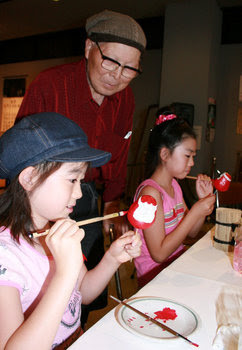 Children have a chance to try their hand at painting a Daruma from Mihara. 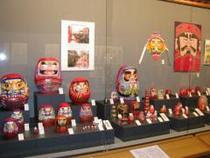 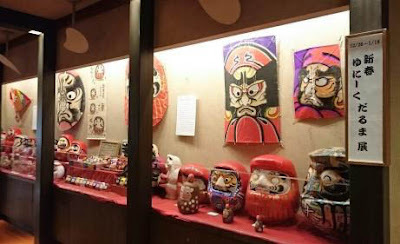 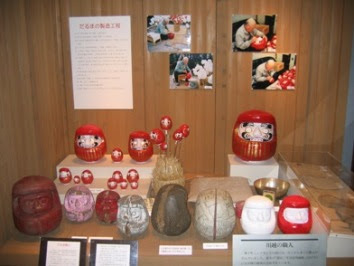 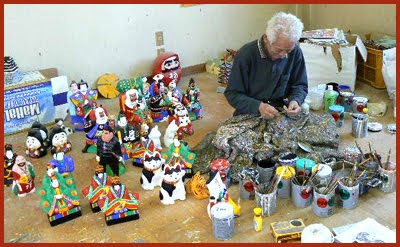 Their teacher is Kubo san, the leader of the Mihara Daruma workshop, he is already 82 years old. 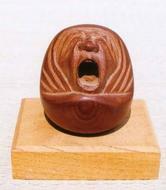 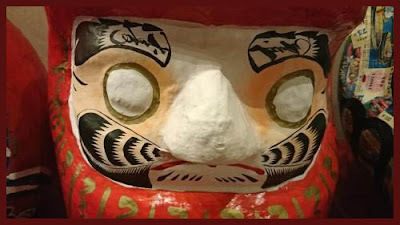 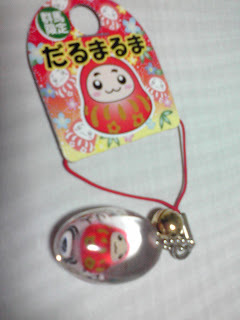 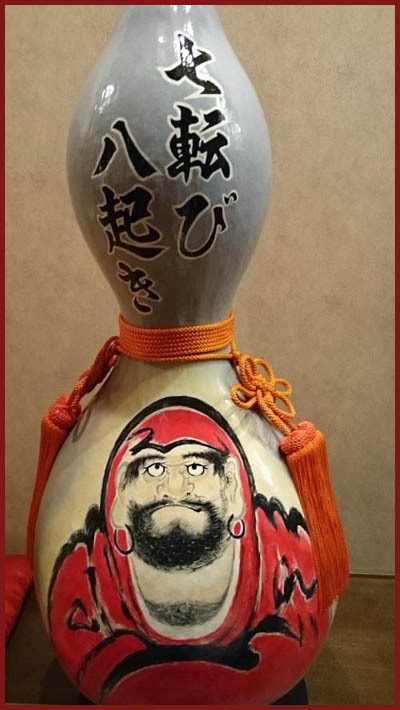 This daruma contains a little bell in the belly to make a sound when your wish comes true. 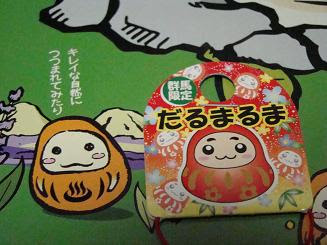 It also has a little headband. 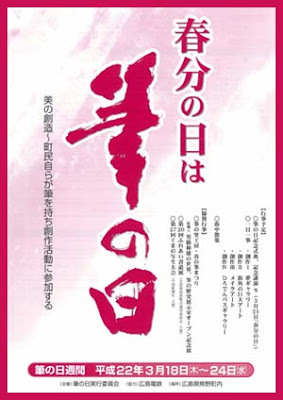 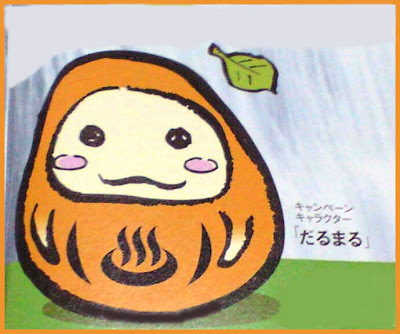 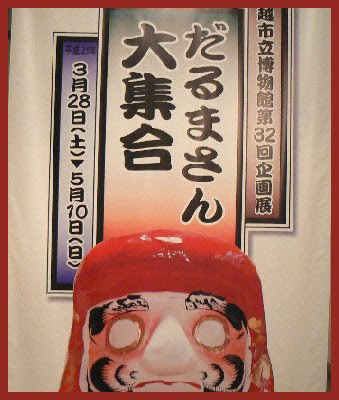 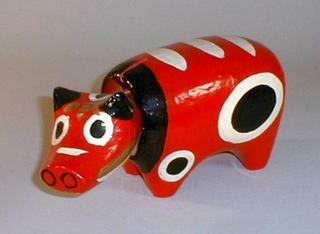 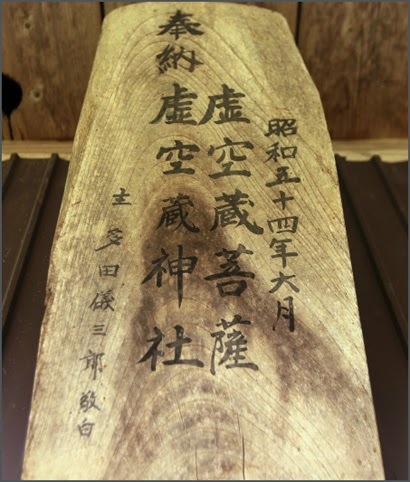 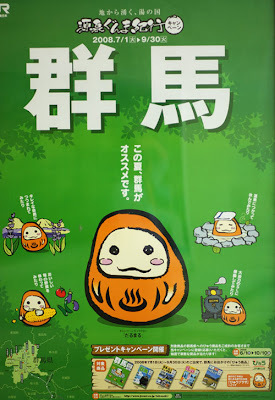 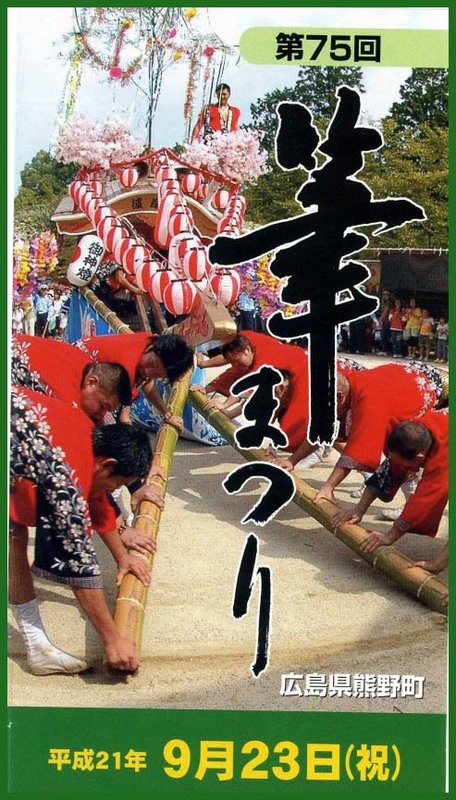 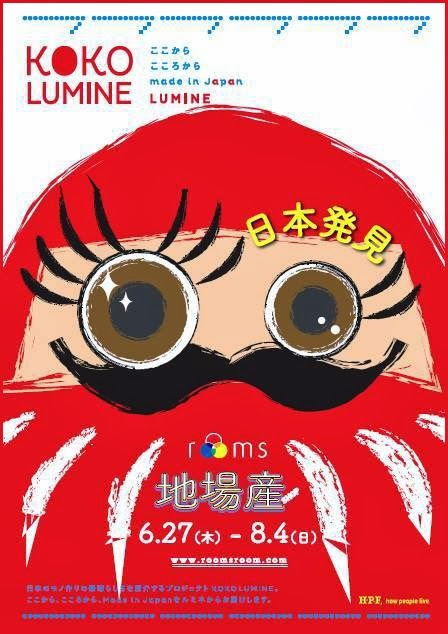 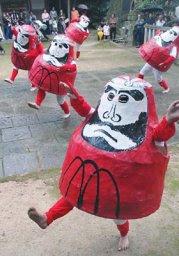 Darumaru is the campaign character to lure tourists to Gunma prefecture. 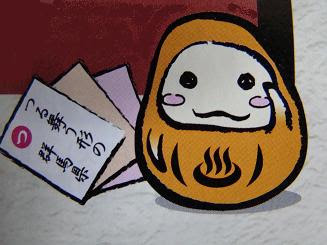 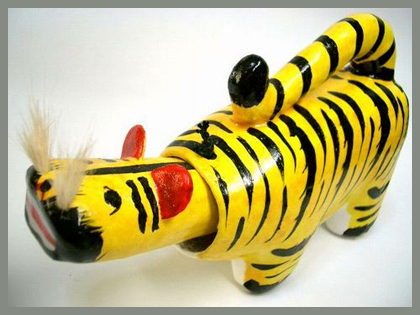 He carries the symbol for hot springs on his belly. 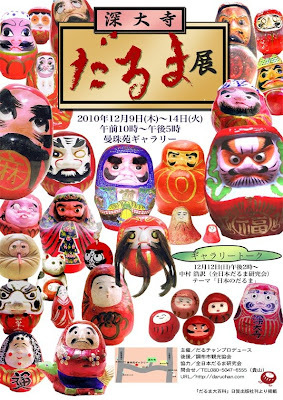 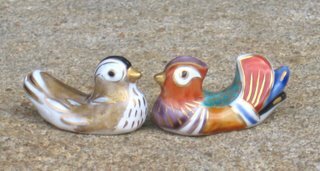 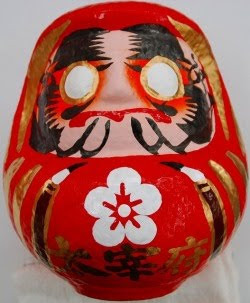 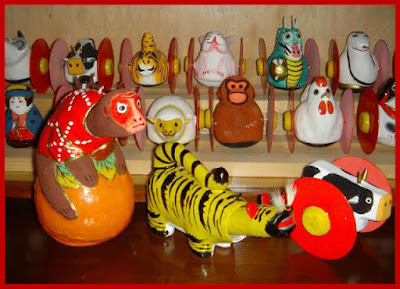 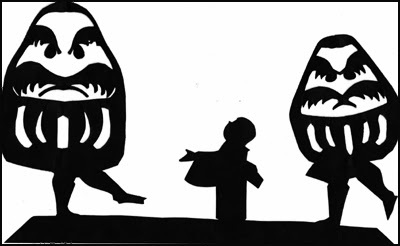 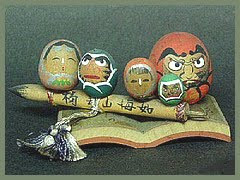 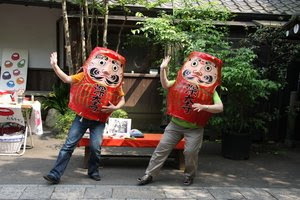 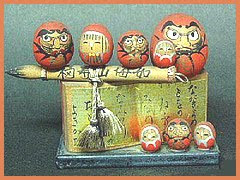 There are quite a few Daruma Dance variations in Japan. 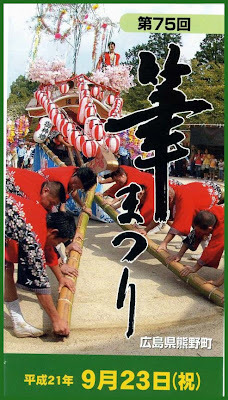 It started with the sports event for children before WWII. 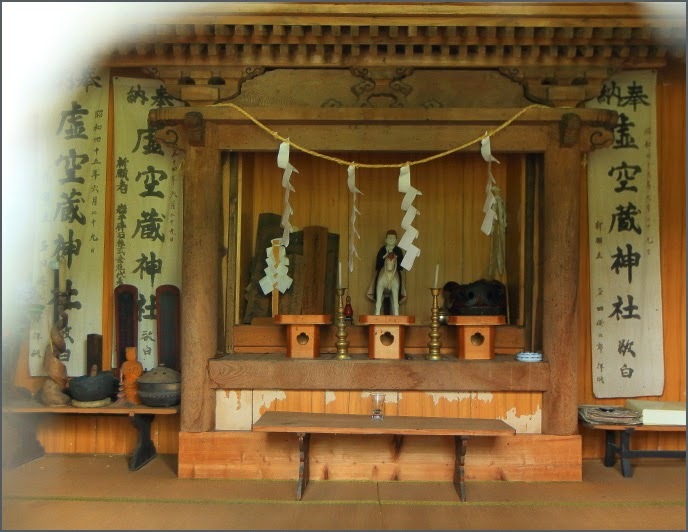 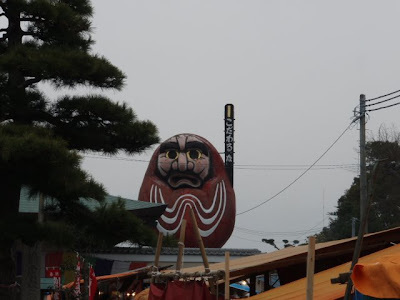 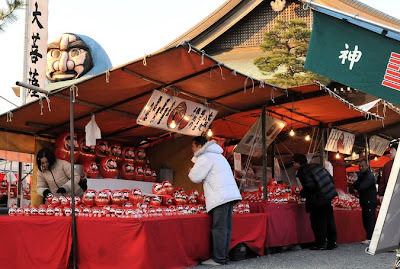 Now 5 children dressed as Daruma dance in the compounds of the shrine and along the main street. 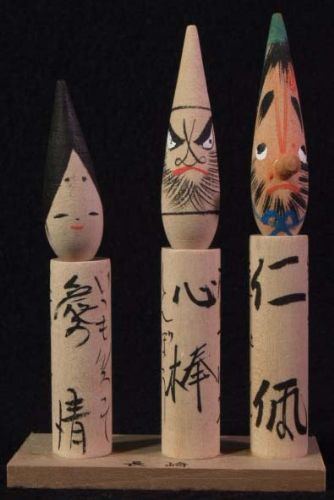 Acitivities of a group around Daru Chan.